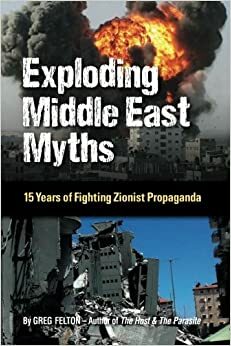 It is primarily a delicate U.S. rapproachment with Iran that is underway — one which the Saudis and Israelis fear so much and are jointly determined to undermine if not prevent..
That’s what the agreement being so publicly and painstakingly orchestrated in Lausanne is really all about. What the U.S. does all the other negotiating parties will go along with. The out-front issue is nuclear “capability”. But it is not Iran that has brought such weapons to the Middle East; The Israelis, thanks to the Americans, have hundreds of such advanced weapons with super sophisticated aircraft, missiles, and submarines to deliver them. The Arabs and Iran are largely defensely against such overwhelming Israeli power; they can only turn on each other with the more limited weapons the American and Europeans are only to glad to sell them for cold cash. But whether the Obama Administration can actually make the agreement stick and have a foreign policy legacy it so badly seeks after so many failures, that’s definitely uncertain. The Israelis, Saudis, Neocons, Evangelicals, Jewish Lobby/Congress are all vehemently opposed. Plus more tricks and Blacks Ops, mostly from the Israelis, are no doubt ahead. Back in 1923, at the very same Beau-Rivage Palace Hotel in Lausanne, a treaty was signed that finalized the break up of the Ottoman Empire and further balkanized the entire Middle East region. Like previous agreements in Paris and Cairo in the years after WW1 – then with the Brits and French in the lead, the Americans not yet in charge – at Lausanne in 1923 the West created a false peace that has become known as “Peace to End all Peace”. What the West did then damned the Middle East region to a hundred years of factional warfare and dictatorial repression which is today violently exploding everywhere. It also brought about the Judeo-Christian invasion of the region otherwise known as “Zionism”.